SOIL is working to prove that it is possible to affordably and sustainably provide sanitation services even in the world’s most impoverished and water-scarce communities. 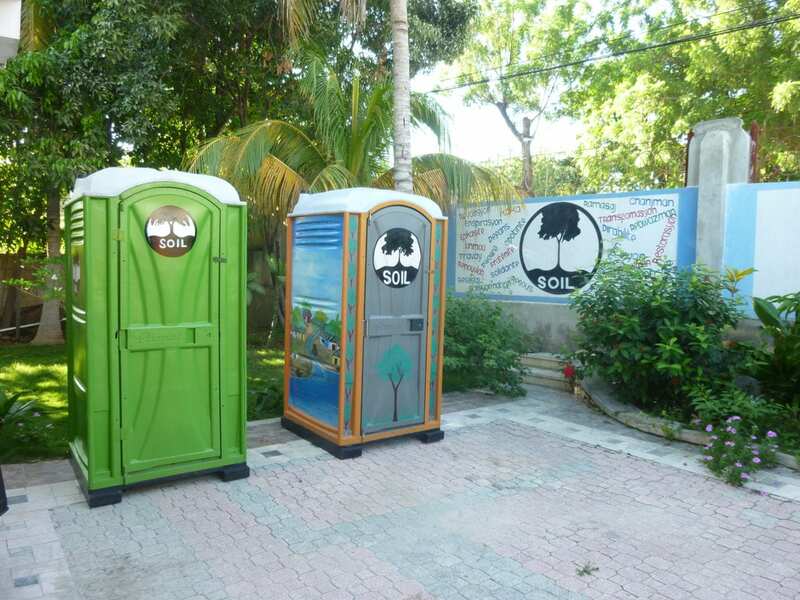 Over the past six months, SOIL has expanded its revolutionary household sanitation business, EkoLakay, to the capital city of Port-au-Prince and increased the total number of families using EkoLakay toilets to 381 [actually 444 as of July 2014]. SOIL’s EkoMobil social business provides safe, dignified Ecological Sanitation (EcoSan) toilets and waste treatment services for community events, construction sites, and other activities around Haiti. 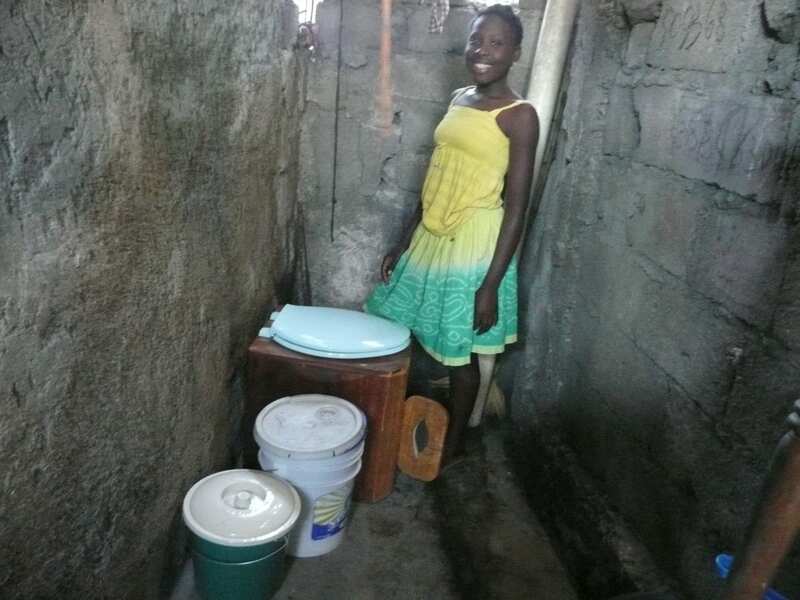 These toilets help SOIL earn revenue critical for operating public toilets while also demonstrating the desirability of EcoSan toilets to a larger market base in Haiti. With every dollar of Eko Mobil profit, SOIL is able to grow the scale and quality of the EkoMobil business – creating more local jobs, enabling greater and more widespread access to sanitation, and providing a sustainable source of revenue to subsidize SOIL’s household EkoLakay social business. Over the past six months, SOIL has made over $10,000 in revenue from our EkoMobil social business! Toilets alone do not ensure that water supplies won’t be contaminated with dangerous pathogens from human waste. This pollution is downright deadly, which is why globally, diarrhea is the second leading cause of death in children under five, and in Haiti, a country of just over 9 million people, 10 children die every day from water-borne illnesses. SOIL employs the natural process of composting to safely treat human waste, which not only deactivates dangerous pathogens, it also transforms waste into rich, fertile compost – a process that is affordable, sustainable, and ecologically-sound. SOIL is now producing over 2.5 tons of compost per month at our waste treatment facilities and we recently sold out of compost! There’s a Haitian Creole expression, “Men anpil, chay pa lou” – with many hands, the load is light. Thank you for supporting SOIL as we work to create positive change in a country struggling to build a better future. We hope you will continue to follow the impact of giving and SOIL’s progress on our blog, Facebook, or Twitter @SOILHaiti. Original post here at Foundation Beyond Belief. Want to read more? Check out these news stories about SOIL! 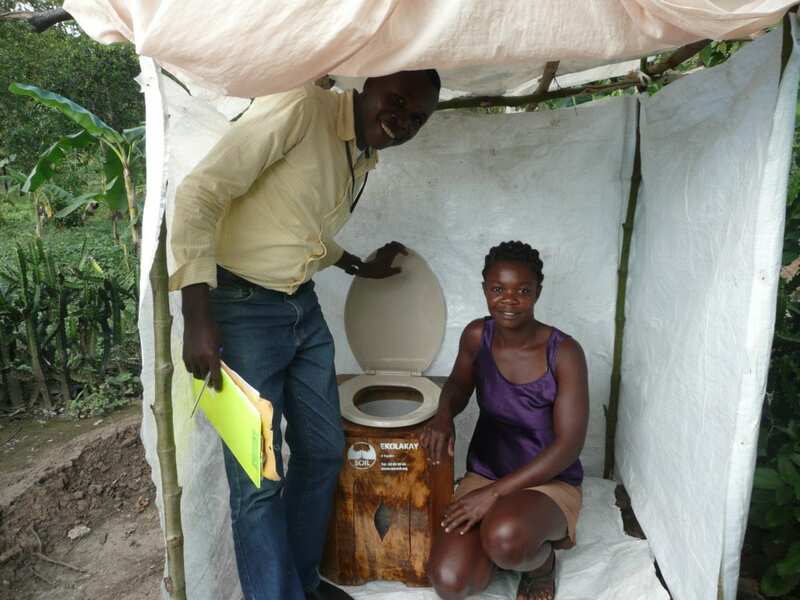 No Replies to "Foundation Beyond Belief: Q3 2014 beneficiary, SOIL, continues critical sanitation work"